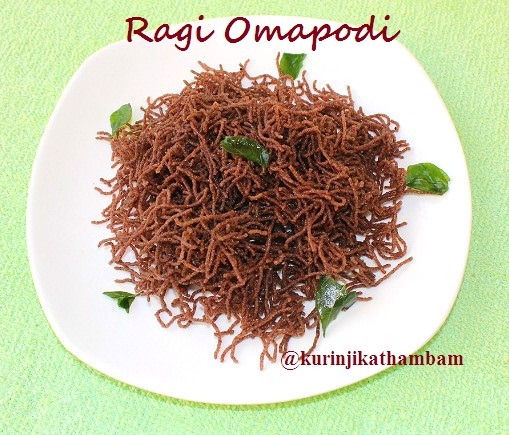 Typical omapodi is prepared using besan/kadalai maavu. I tried it with ragi flour and the result was quite good. 1. Dry roast the ajwain for 1min or till they start to splutter. 2. Remove from the flame and allow it to cool down. Then grind them into a coarse powder using the dry mixie. 3. Then put the powder in a bowl and add 2 tbsp of warm water. Mix them well and leave it for 15 mins. 4. Then strain the water using the strainer and use this water for making omapodi. 5. 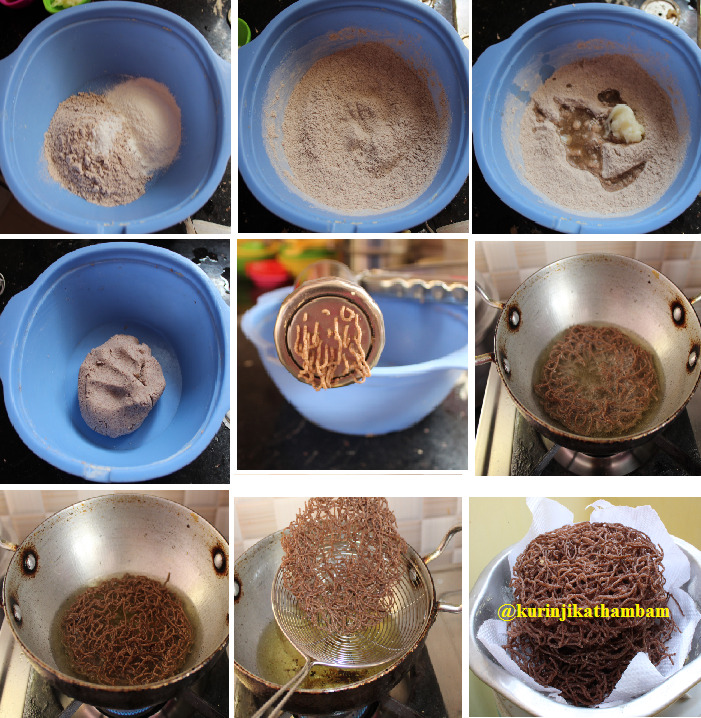 Add ragi flour, rice flour and salt in a wide bowl. Mix them well with your fingers. 6. Then add butter and ajwain water (from step 4), mix them well with your fingers. 7. Now add water little by little and knead a soft and pliable dough. 8. Heat the oil in a deep fry pan till it becomes hot; put a pinch of dough into the oil. If the dough comes up immediately, then this is the correct stage of oil heating. 9. 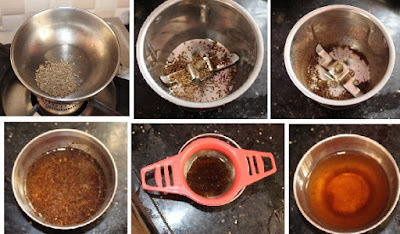 Grease the murukku press with oil (use omapodi plate with lot of holes). Now fill the press with the dough upto ¾ of the press. 10. Once the oil has reached the correct temperature, squeeze the murukku dough directly over the hot oil. Don’t overload the omapodi. 11. Fry them in a medium heat and turn over occasionally and cook till the sizzling sound stops and the omapodi turns into golden color. 12. Then remove it from the oil and place it on a tissue paper to remove the excess oil. Repeat the pr0cedure (from step 9-11) for remaining dough. Healthy and tasty millet omapodi is ready for this Diwali. 1. If you are making large quantity make them in batches.